This weekend we went beer and mead tasting in Tuxedo, NY. And by beer and mead tasting, I mean we went to the Renaissance Faire. You may be looking for further explanation here, but I can assure it’s not necessary. Next year, go, drink, and throw some axes and tell me it wasn’t one of the more ridiculously fun days of your life. Take rainwater kept for several years, and mix a sextarius of this water with a pound of honey. 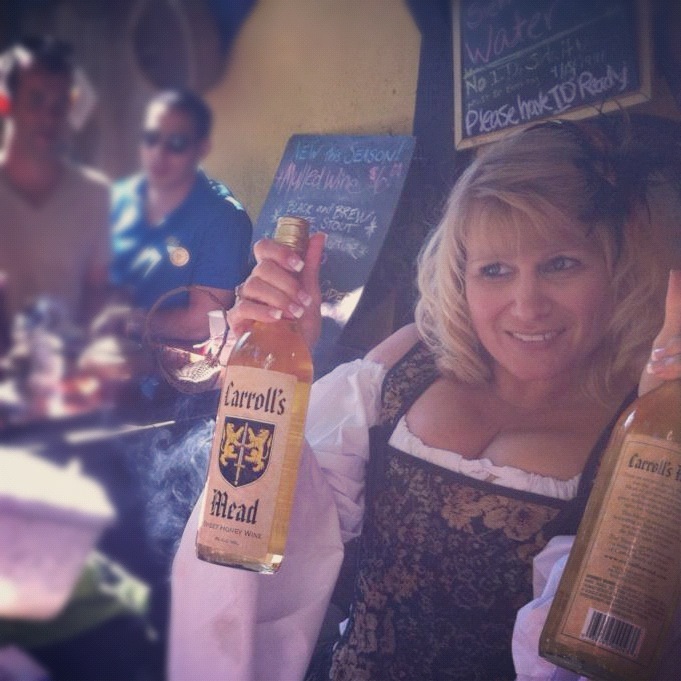 For a weaker mead, mix a sextarius of water with nine ounces of honey. The whole is exposed to the sun for 40 days and then left on a shelf near the fire. If you have no rain water, then boil spring water. Nowadays, you don’t see mead too often. In fact, I’m not sure if I have ever seen the stuff outside of the Renaissance Faire. But other interpretations of mead have been making their way into the market place. Melomel for example is mead fermented with the addition of fruit. Some wineries have even begun to ferment this variety of mead from their excess grapes. As for the basic stuff however, it seems like a fun thing to make on your own. With the starting materials being about as simple as they come, I imagine it wouldn’t be too hard to make some mead, and make it quickly. I think I might give it a shot in time for Thanksgiving, so the family and I can sit back and enjoy a few glasses of mulled mead. Another perfect example of the versatility of this concoction! Huzzah to mead!